Choosing the right high-performance coating is essential to meet the peformance requirements of commercial or industrial environments. 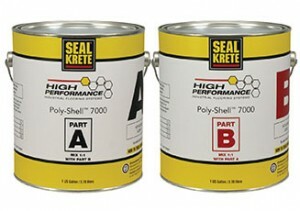 The chart below compares all three SEAL-KRETE high performance coating systems to make buying the right system easy. Utilizing the latest development in Polyaspartic coating technology, Poly-Shell is the most durable coating available. 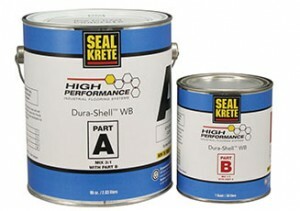 It dries quickly and provides unparalleled rapid return-to-service. 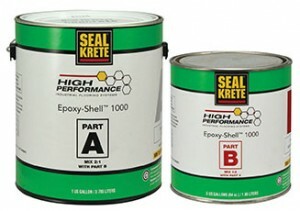 Epoxy-based coating system, blends durability with outstanding adhesion properties. Durable two-part water-based aliphatic urethane that provides both heat and chemical resistance and excellent protection against UV rays. Pot Life 20 min. 45 min. 60 min. Which Concrete Floor Coating is Right for You? © 2018 Rust-Oleum. All Rights Reserved.